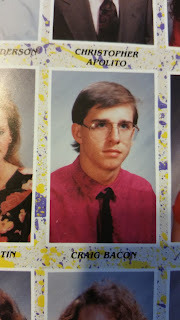 I ran across my senior yearbook just the other day before I went on vacation. I had no idea where it was hiding until I was looking for my portable DVD player for the trip to Ohio. As soon as we got back, I took a look through those pages. It brought plenty of memories back -- some good, and some great. How many of you still have your yearbooks tucked away somewhere? I graduated from Lockport High School in 1992. 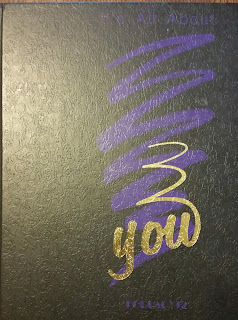 Theme of our yearbook was “It’s All About You.” The biggest complaint about the book? The color scheme makes it very difficult to read the cover, and the paint splatter on the inside pages is really distracting. Other than that, it’s a great book. My 1991 yearbook fell apart, and this one is still going strong. So there, Class of 1991. 1992 rules! The first thing I noticed was that I was not in any of the candid shots, and that there were not very many people who signed it. It was a stark reminder of how uncomfortable I was around people when I was younger. Trust me, I have gotten over that. Now I’ll talk to anyone, anywhere. Some of the comments have no real meaning to me anymore. They talk about events that were current and important to us then, but have faded over time. For example, Andy (no idea which of the Andys I knew it was) said, “No, I don’t have any pennies.” I cannot for the life of me figure out what the heck that means. When we were young and ready to take on the world, we thought we knew everything. Looking back through the pages of my yearbook and reading the comments, we had no clue. Some of us had things figured out. I was not one of them. I was all about freedom of no school. Next year is the 25th anniversary of our graduation. I’m hoping that we will be able to put at least something small together. Yes, this is me volunteering to help out with getting this put together. As part of that celebration (if we can do it) I would love to recreate our senior section of the yearbook. It would be fun to look at how we’ve changed over the last quarter century. There are a couple ways that it could be done. We could ask everyone to send in a professional photo on that standard gray background. Or we could have a photographer on site to take our pictures during the reunion, and maybe take some candid snaps to add to the “updated yearbook.” That actually may be more fun. Then we could send out the finished product. We could even have those classmates who can’t make it send in their head shots to add to it. I’ll have to talk to Erik and Andy. 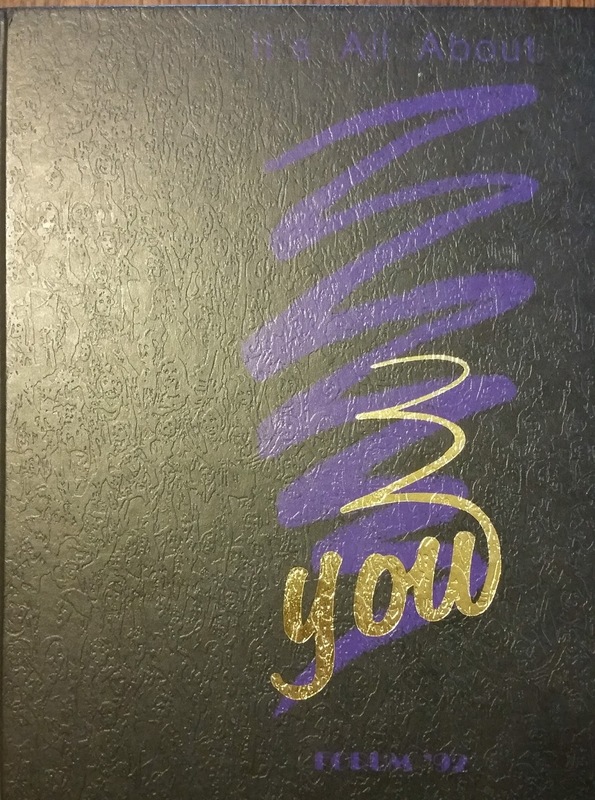 How many of you still have your high school yearbooks hidden away somewhere in the house? When was the last time you pulled them out and thumbed through the pages and read the comments? It’s been awhile for me, but it was definitely a pretty cool trip down memory lane. Now it’s on to thinking about a 25th class reunion. Craig Bacon stalked his classmates on Facebook as research for this article. It’s where he thought up the idea of recreating the yearbook.